Widowed. Hunted. Exiled. From the ashes of destruction, a saga begins. When her country is conquered and her lord husband slain by his best friend, Guinevere, Lady of Athel, has only one thing left to live for: her young son Revan. Forsaking vengeance to honor her husband’s last wish, Guinevere flees with Revan — the last heir of the Teutevar line. Exile, however, will not come easy. Pursued by ruthless invaders and a wilderness full of bloodthirsty savages, Guinevere’s only allies are a loyal spearmaiden and a deranged mountain man. The Lady of Athel may not fear death, but should she fail, Athel’s last hope falls with her. 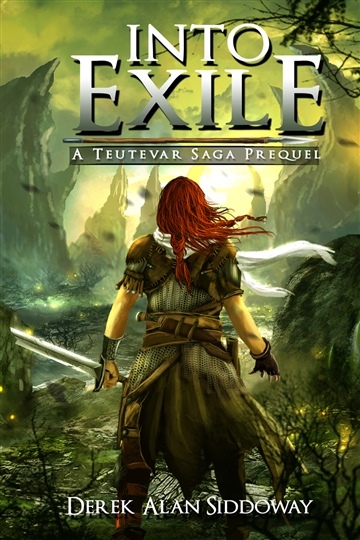 Into Exile is a introductory prequel that takes place before the events of Out of Exile in the world of Teutevar Saga. Fans of Joe Abercrombie’s Red Country and Miles Cameron’s Traitor Son Cycle will enjoy the Teutevar Saga and its unique blend of traditional medieval fantasy in a gritty, American Western landscape. 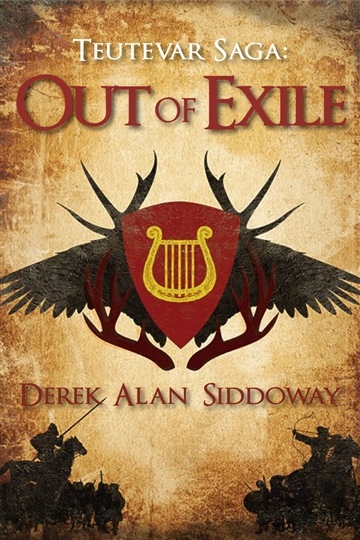 Derek Alan Siddoway is the 24-year-old author of Teutevar Saga, a "medieval western" series combining elements of epic fantasy with the rugged style and folklore of American Westerns (read: John Wayne meets Game of Thrones). His journey as a storyteller began over a decade ago with a particularly thrilling foray into Pokémon fan-fiction. 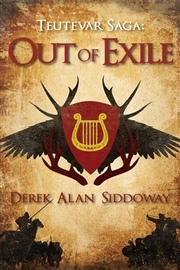 Ten years later, Out of Exile, his debut novel, and the first book in the Teutevar Saga, was published. An Everyday, Undaunted Author, Derek spends his time reading, obsessively filling notebooks, adventuring outdoors and celebrating small victories. He's a sucker for good quotes, peach lemonade and books/video games with swords in them.